On the 18th of March 2015, Xhale Assurance, developer of the patented Assurance® Nasal Alar SpO2™ Sensor, announced its approval by the US Food and Drug Administration (FDA) and the global launch of this second-generation pulse oximetry sensor (1,2). The new Xhale Assurance® Nasal AlarSpO2™ Sensor is compatible with the majority of pulse oximetry monitors used in many different healthcare settings. 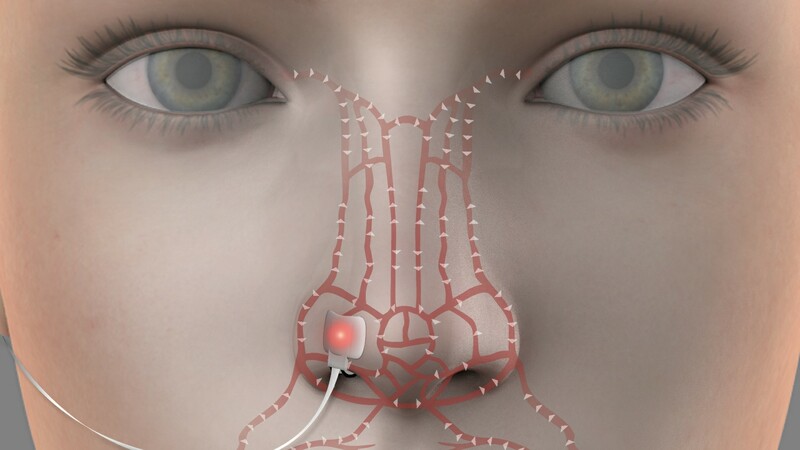 Pentland Medical is now marketing this product as the Nasal Alar SpO2 Sensor (3). Acute and chronic medical conditions can be associated with hypoxia and require supplemental oxygen therapy. The acute medical conditions include attacks of asthma, pneumonia or respiratory distress syndrome (RDS). In premature babies, oxygen supplementation is given for the condition of bronchopulmonary dysplasia (BPD). The chronic conditions requiring oxygen supplementation include chronic obstructive pulmonary disease (COPD), heart failure and sleep apnoea. In the treatment of these conditions, oxygen is usually administered through a nasal continuous positive airway pressure (NCPAP) machine, a nasal tube or a ventilator. It is important to monitor the requirements for and effects of oxygen supplementation as too much oxygen can be as harmful as too little. Pulse oximetry is a non-invasive method used to measure the oxygen level (or oxygen saturation) in the blood of the peripheral tissues, usually using a sensor attached to the finger. The technology is based on detection of the light absorptive characteristics of oxygenated haemoglobin and the pulsating properties of the blood flow in the peripheral arteries and arterioles. With each heartbeat, there is a small increase in vascular volume, with an associated increase in oxygen-rich haemoglobin. The pulse oximeter consists of a clip-like sensor that houses a light source, a light detector, and a microprocessor. One side of the sensor contains an infrared and a red light source which are transmitted through the tissues to the light detector on the other side. 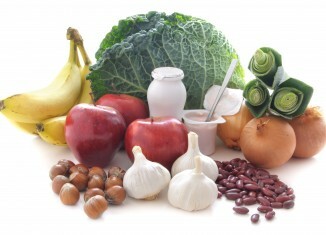 The oxygen-rich haemoglobin absorbs more of the infrared light; oxygen-poor hemoglobin absorbs more of the red light. The microprocessor calculates these differences and converts the information to a digital readout of the amount of oxygen being carried in the blood. This information enables the attending physician or nurse to evaluate the need for supplemental oxygen. The Nasal Alar SpO2 Sensor fits comfortably on the nasal ala that is lateral to the nostril (nares) and does not require any adhesive to keep it secure (3). The Nasal Alar SpO2 Sensor can be easily removed and reapplied for use during the patient’s hospital stay (3). The nasal ala is a highly vascular region that is fed anatomically by both the external and internal carotid arteries. This multi-directional arterial supply provides strong, reliable photoplethysmography signals that respond rapidly to changes in the patient’s arterial oxygen saturation. These signals can be lost when using sensors located on the finger (4). This site has no clinically significant sympathetic tone and, therefore, does not lose signal due to the patient being cold, anxious or stressed. This site is less affected when patients experience diminished peripheral perfusion, as in cardiovascular disease, hypovolaemia or following medications that cause vascular changes. The nasal alar site is less subject to signal distortion due to sensor interference from ambient light. The strong signal from this location provides consistent accuracy, even at very low oxygen saturations. The nasal alar site location makes the sensor less likely to be dislodged, which reduces alarms. The nasal alar attachment site is easily accessed by an anaesthetist during surgery; the non-adhesive attachment makes the sensors easy to reposition. Recent studies support the feasibility and accuracy of nasal alar pulse oximetry (5). The many unique features of this nasal alar pulse oximetry sensor have encouraged clinical studies to evaluate its role beyond the operating theatre, in patients with acute, chronic or long-term medical conditions. In February 2015, the results of a usability and acceptance study for the use of the Nasal Alar SpO2 Sensor in a non-hospital setting, showed that 50 volunteer subjects were able to wear the sensor for seven days (6). All 50 study participants reported that, when compared to wearing a finger pulse oximeter, the Nasal Alar SpO2 Sensor was more comfortable and interfered less with daily living activities (6). Although the use of oximeter sensors at sites such as the finger and forehead have been associated with skin pressure complications, there are no reported complications from the use of the Nasal Alar SpO2 Sensor (6,7). The benefits of the Nasal Alar SpO2 Sensor include. Reliable, consistent and accurate oxygen saturation measurement, that is unaffected by reduced peripheral perfusion. Sensitive and rapid detection of changes in oxygen saturation. Ease of access to the alar nasal sensor attachment site, even during surgery. Comfort when wearing the sensor for long periods of time, with no complications. The nasal alar location of the sensor resists monitoring fluctuations or signal distortion due to ambient light or motion. Cost savings, when compared to finger and forehead sensors. The Nasal Alar SpO2 Sensor costs less than £20 ($30 USD) each (3). Patient studies have shown that the sensors are durable which means a significant cost saving can be expected in longer term monitoring (8). Digital sensors cost £8 ($12 USD), and forehead sensors are up to £16 ($24 USD). In the US, the average stay in ICU is 3.8 days and during this time, digital sensors will require replacement (8). In conclusion, these results indicate that the Nasal Alar SpO2 Sensor can be used comfortably, safely, effectively and at relatively low cost, not only in the operating room during anaesthesia or in intensive care, but also in a variety of situations within and outside the hospital. This report has been received and reviewed by Dr Richard Melker, Xhale Assurance, on 25th June, 2015, prior to online publication. (6) Melker, RJ, et al. Usability/Acceptance Study Final Report Xhale Assurance Nasal Alar Sensor. Feb. 2015. Unpublished data. On file, Xhale Assurance.